Floor Gerestein and three other friends were 23 years old. They were in the last year of their university stint, about to graduate, and were facing the biggest problem since they started school – Where in Netherlands can you buy a set of caps and gowns for your graduation day? Mission Impossible. That was 4 years back. Now graduates from universities in Netherlands and across Western Europe can all get their graduation necessities from Caps & Gowns, brainchild of Floor and her three friends. 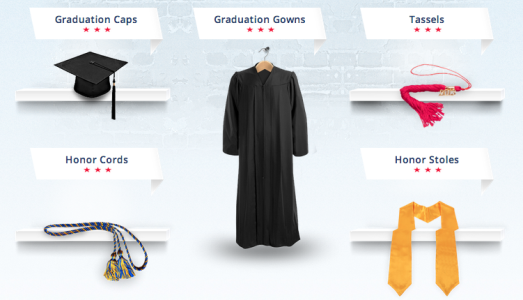 Caps & Gowns, based in Rotterdam, offers graduation ceremony outfit essentials such as graduation caps, graduation gowns, tassels, and hoods for sale to graduating students across Western Europe. They are the best alternative to individually importing gowns with high shipping costs and long waiting periods from America, one of the biggest sources of caps and gowns. It all started with an experiment to test the market. In the first two weeks, they received an astonishing order – a school had put forward a quota request for 100 sets of caps and gowns to be delivered in five days. The young, ambitious and lean team didn’t have the stock, but couldn’t refuse the order either. Someone from the team eventually flew over to USA to get stocks to fulfill the request. 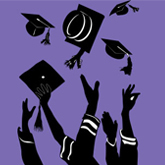 In time, Caps & Gowns became competitive on price and customer service areas, they kicked all competitors out of the way and more and more universities became their regular customers. When they clinched the title of the Number 1 go-to company in the Benelux (union of states comprising Belgium, Netherlands and Luxembourg) for caps and gowns orders, they struggled with immense inventory management issues. Caps & Gowns has a large product range; there are a variety of sizes, colours and types of products in their inventory. They also faced restocking challenges, especially those regarding reorder quantities for each product variant. In addition, tracking their stock became increasingly difficult over time. “We tried different inventory management systems and TradeGecko was the best. We love it and have used it for almost a year. It gives us a lot of transparency on our stock and the system is easy to use. After using TradeGecko for some time, we realised we can do much more with the system than before. We solved the main challenge of managing our inventory so now we can focus on selling, getting new customers, and meeting expectations of our recurrent customers. Also, everyone in the team can log in anywhere and everywhere on the TradeGecko mobile app. We are still growing right now and TradeGecko is not putting a cap on our growth – it will be an advantage for our operations for the next five years to come, or even more.” says Floor, CEO of Caps & Gowns. Now that Caps & Gowns has gotten the tricky inventory obstacle out of the way, they want to move on and integrate the TradeGecko system with an accounting platform to further streamline their business backend processes. 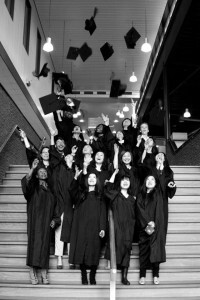 The enthusiastic team behind Caps & Gowns also run another related business to handle the planning and organization of graduation ceremonies and events. This vertical integration up the supply chain seems to be a move in the right direction to conquer the Graduation Industry in the Netherlands. They are keen to retain their Number 1 position in the market for graduation necessities, and are also setting their sights on overseas markets such as USA and Russia while expanding market share in Europe at the same time.